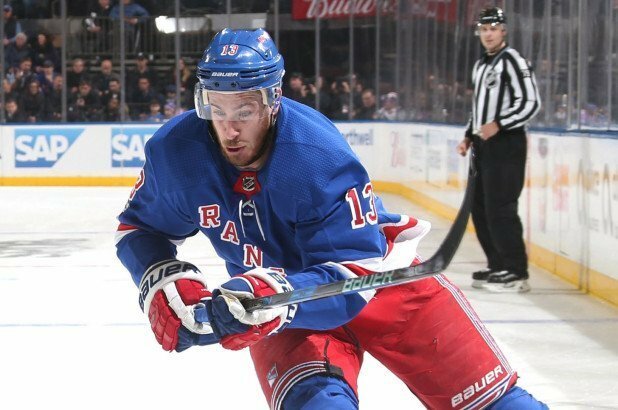 Are the New York Rangers going to re-sign Kevin Hayes or trade him? TSN: Pierre LeBrun reports both the Nashville Predators and Winnipeg Jets are ready to trade a prime asset for a rental player at this years NHL trade deadline. LeBrun states both teams will be looking at similar players on the trade market which makes it even more intriguing because let’s face it, they’re probably going to play again in the second round. “One player of note, Derick Brassard, I think Winnipeg has already kicked the tires on him with the Pittsburgh Penguins. I don’t think they liked what they heard at this point, but it’s early. There’s lots of players the Jets are looking at, he’s one of them,” LeBrun added. What will the New York Rangers do with Kevin Hayes? New York Post: The New York Rangers will have a decision to make with forward Kevin Hayes. Do they trade him or re-sign him? Larry Brooks reports chances are Hayes, 26, will be somewhere else by the time the clock strikes 3 p.m. in New York on Feb. 25, but neither the Rangers nor Hayes have shut the door on the possibility of an extension. Brooks states Gorton is going to shop Hayes aggressively in the interim in order to determine the rental value. If Hayes is to be re-signed, he will be looking for a five- or six-year deal upwards of $6 million per season. The question is, do they Rangers want to pay him that? Nashville Predators Subban should go; he is a financial liability with $9 million/year cap hit and he is slower than slow. I think his skills are over rated and ability to play one-on-one defense is poor. Trade him straight up for a scoring forward/center. Edmonton or Toronto both need d-men; even if the Preds have to eat some of his salary. This is all the Preds need to win it all. Subban is dead weight; the game slows to a snails pace with him in the game. D-men in our farm system are ready…Fabrro enter!